It is normal when you feel stressed and anxious at some points during your life. If stress is in the normal and manageable condition, it does not cause any big problems. It can disappear when you find a solution for the triggering issues. Stress and anxiety are not completely bad as sometimes it helps us win a challenge or overcome a dangerous situation. However, uncontrollable stress and anxiety affect both physical and psychological health. Fortunately, some simple strategies and techniques can help you cope with stress and anxiety. A healthy diet and good lifestyle can manage stress and anxiety. Some pharmaceutical psychotropic meds aim to reduce stress. However, they should be taken with carefulness and in limited dose because excess intake can lead to unwanted side effects and cause mental health conditions. For example, some studies found out that psychotropic meds can increase the risk of suicide. Therefore, people who suffer from continuous stress and anxiety should look for a natural solution. Numerous natural herbal remedies are beneficial in managing anxiety and decreasing the risk of deadly stress without causing any wanted side effects. 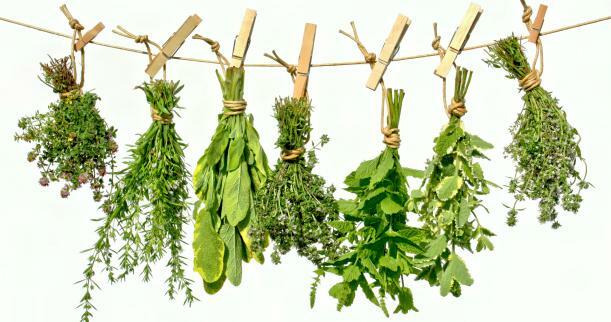 Here are natural herbal remedies that contain anti-anxiety effects. Chamomile has been well-known for its calming properties. This herb can ease your mind and keep you calm. A cup of chamomile tea may solve the difficulty sleeping caused by stress. Chamomile is also beneficial in relieving irritability, relaxing tense muscles and treating insomnia. You can take chamomile as the form of supplements or drink chamomile tea. In addition to dry chamomile, you can also use fresh chamomile to make anti-anxiety tea. Infuse fresh chamomile flowers in a pot of boiling water for 3 minutes. After a few minutes, you can drink it. Peppermint tea is another natural herbal remedies for stress and anxiety. Peppermint contains menthol that relaxes irritable and tense muscles. Therefore, when you feel stressed or anxious, you should drink a cup of peppermint tea. Because peppermint has relaxing effects and it is low in caffeine, you can drink a cup of peppermint tea before bedtime to have a deep peaceful sleep after a tiring day. However, make sure that you discuss its use with your doctor before drinking peppermint tea or taking its supplements. Drinking peppermint tea may lead to miscarriage; therefore, pregnant women should avoid it. Alternatively, you should crush some fresh peppermint leaves and then add them to boiling water. Let it simmer for 2 minutes. Allow it to cool down before drinking this anti-anxiety herbal tea. Passionflower tea is another herbal remedy for stress and anxiety. The flavone chrysin present in passionflower contributes to that benefit of this tea because of its anti-anxiety properties. Drinking a cup of passionflower tea before bedtime can give you a peaceful sleep. When you take sedative medications, you should avoid using this herbal tea. Moreover, passionflower tea is not recommended for pregnant women and children under 6 months. Lemon balm tea contains calming effect. Many people like lemon balm tea because it has a taste of lemon and mint flavor. Lemon balm tea is considered as a natural herb for anxiety and stress since it reduces the production of the cortisol, a stress hormone. Moreover, it helps relax your body and elevate your mood. This herb possesses the amazing scent that is effective in calming your mind and inducing a deep sleep. You can smell lavender or drink a couple cups of lavender tea to reduce stress and anxiety. Green tea contains polyphenol that has the ability to fight stress and anxiety. Moreover, L-theanine present in green tea can stimulate the brain’s alpha waves and calm your mind. L-theanine reduces the effects of stress and boosts feelings of relaxation. However, because green tea has a lot of caffeine, you should not drink it before bedtime. Green tea is also good for overall health. Therefore, you should drink two or three cups of green tea daily for both physical and psychological health. These are natural herbs for stress and anxiety. I hope that you find this article informative and useful. Have you experienced stress and anxiety? What did you do to combat it? Share your own opinions in the comment section bellow.